Big Zenfone 3 shown in trailer. What is it? Is it a tablet? Is it a phone? Is it even a phablet or is it even bigger than that category? Does it belong in its own category? It’s ultra big, we know that. So you watched the new Computex 2016 trailer from Asus right? Okay, at the end they showed off three different sized devices. We’ve looked at the smaller two, but then we have this giant on the right side. It’s definitely different that’s for sure. First, let’s get the reality of the situation cleared up. There was a leak of a mysterious 5.9-inch Zenfone 3 (or it was at least guessed to be a Zenfone 3) which showed up in benchmark results. That was months ago in January 2016. We want to illustrate why we simply do not believe that the phone in the teaser is that 5.9-inch phone. Take a look, and the images don’t lie. We analyzed the smallest phone to the middle phone and based on that analysis, we have determined that a 5.9-inch phone would line-up close to where we have the arrow pointing in the above illustration. See what we mean by clearly not being the 5.9-inch Zenfone 3? Even with a wide margin of error, the phone is much bigger. So how big? We are guessing that it is 7-inches or smaller. With added bezel, a screen size of 6.8-inches would appear possible, if not likely. Now from that teaser and with the three Zenfone 3 models lined up, clearly the ultra model is different in design. There are some key differences that we spot. The camera and flash is located in the top left corner of the device. The Zenfone 3 phones shown in the teaser have a central location in the rear. In terms of functionality, putting the camera in a different spot on this ultra made sense from a usability perspective. This big phone/tablet has the volume rocker located in the same rear position as the Zenfone 2. The other Zenfone 3 models that were teased appear to have finger print sensors on the rear, which again is a significant design difference between these devices. There was a Red Dot leaked image which was said to be a Zenfone 3 Deluxe. That particular photo showed a button on the front, which is likely a finger print sensor. Which leads up to a conundrum of sorts. Leaked photo shows Zenfone 3 Deluxe with front button which means either Red Dot had the phone named incorrectly or the big phone here is possibly the Zenfone 3 Deluxe and not the Zenfone 3 Ultra. We can also see quite clearly in the teaser video that this big Zenfone 3 has a single button on the side, just like the Red Dot leaked image. We remain a bit stumped for now. We also me keep in mind that Asus could be throwing a curve ball and this big device is actually a 7-inch ZenPad tablet. However, logic says that doesn’t make a lot of sense to put a ZenPad in with their Zenfone 3 trailer. Considering how much is riding on a successful Zenfone 3 launch, we don’t see the under performing tablet category making an appearance along side their great hope. 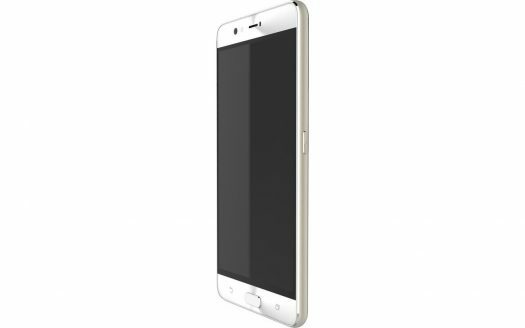 We have also heard many tech news websites suggest that big device is the Zenfone 3 Max. Really? Max is for battery, not for screen size. Or did Asus change that too? A bigger screen would require more battery, so calling a device “Max” becomes a lot more challenging as you increase the size and or resolution. 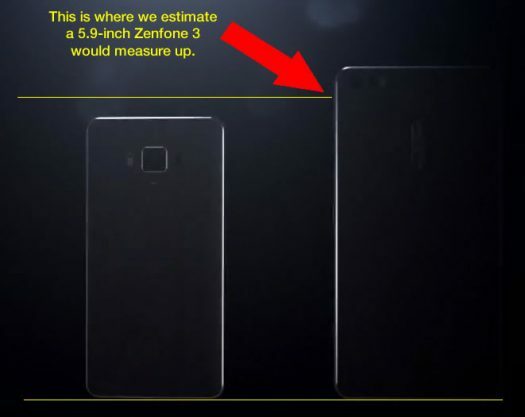 The original first generation Zenfone Max is 5.5-inches so why would Asus make a big leap to 6-inches+? The last consideration here is that the scale is off on the video. You would think that Asus would present these phones in a true scale, but you just never know.